Trinity Development Group proposal for the 14.5 acre site at 501 Lakeshore Road East in Lakeview District (mixed use retail including big box format, commercial / office and residential). Official application received by the City: December 22, 2011; revised December 2012. Went to the Ontario Municipal Board (OMB) for a decision. TOPCA was a Participant (against) at the hearing, starting October 21, 2013. PUBLIC MEETING: September 3, 2013 @ 7:00 pm at CITY HALL in the Council Chamber, Planning & Development Committee (PDC). Presentation of the Planning Staff Supplementary Report. ► AGENDA (Item #3). ► Click for the MEETING NOTICE. TOPCA reps will be attending the meeting. Planning Staff is in support of the Trinity development application with the mitigations made since the Public Meeting in April of this year (e.g. eliminates the ‘Main Street’ concept up the middle). The report does not address any retail considerations (although 15,000 sq ft of retail has been eliminated) but rather the built form and overall mixed use. The Report states there may be a settlement before the OMB hearing (see below) takes place in October 2013. The pumping station issues with the Region of Peel have been resolved. OMB HEARING DEFERRED: New starting date has been confirmed for October 28, 2013, with the Hearing scheduled to last 5 days. Will take place in the Municipal Hearing Room at Mississauga CITY HALL (2nd floor). Members of the public are welcome to attend the Hearing, and register as Participants in the ongoing process. TO REGISTER: Contact the City's lawyer: Andrew Biggart (416) 622-6601. TOPCA is a registered Participant. ► Follow the schedule of hearings on the OMB WEBSITE (case # PL120944). NOTE: Negotiations are taking place regarding the relocation of the Regional pumping station elsewhere on the property (click for MAP of the currently proposed mainstreet location). 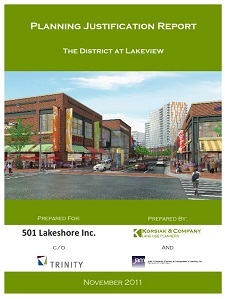 CITY PLANNING DEPT - INFORMATION REPORT RE ‘501 LAKESHORE ROAD EAST’: March 22, 2013 - This report has now been released online, concerning the application for mixed-use redevelopment on the former Inglis/Bike Zone site in Lakeview, with a mix of mainstreet and big box retail, commercial / office and residential uses. NOTE: The applicant has already gone to the OMB for approvals, by-passing the municipal planning approvals process. ► Click to view the INFORMATION REPORT (37p PDF). 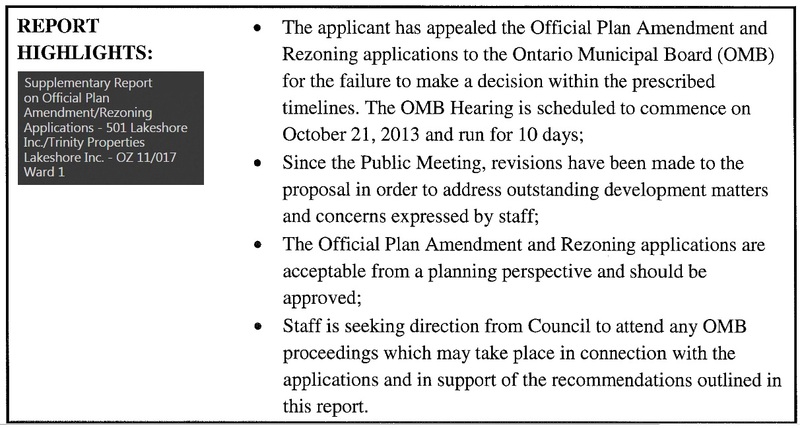 NOTE: Staff recommendations re OMB will follow in a Supplementary Report after the Public Meeting on April 2, 2013 (see below). ► Click image to view enlarged aerial MAP. PUBLIC MEETING: April 2, 2013 at CITY HALL in the Council Chamber, Planning & Development Committee (PDC). Presentation of the Planning Staff report. AGENDA (Item #3). ► Click image (left) to view full-size MEETING NOTICE. ► Click to view the INFORMATION REPORT (37p PDF) prepared by Planning Staff. 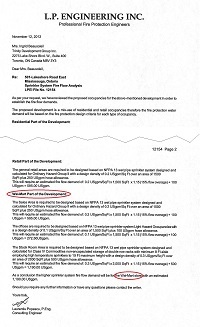 ► Click image (below) for Groundfloor SITE PLAN (Dec. 2012) with list of specifications and statistics e.g. FSI, GFA, sq ft. and breakdown of uses. Use zoom to view detail. IS THE BIG BOX A WALMART? 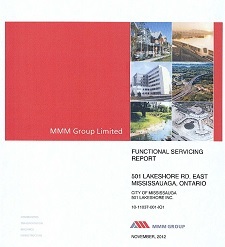 The Functional Servicing Report prepared by MMM Group in November 2012 as a supporting document to the revised '501' application includes a Fire Protection Letter (pp25-6) by L.P. Engineering (November 12, 2012 referring to the "Wal-Mart Part of the Development". ► Click for the Functional Servicing Report (26p PDF). ► Click image (left) to view the 'Wal-Mart part of the letter'. 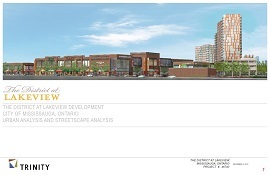 ► Mississauga News article (March 26, 2013): Lakeview development may not include 'big box' store. Excerpt: "Although many believe American retail giant Walmart is the frontrunner to get into the northeast corner of Lakeshore Rd. E. and Enola Ave., land owner Trinity Developments said it's not a done deal. Stefan Savelli, Trinity's vice-president of development, said Loblaws, Winners, No Frills, Sobeys and, to a lesser extent, Target, are also in the fray." TOPCA POSITION: There may be a perception that some big box stores would "fit" with mainstreet retail better than others, and that to shield the name of the tenant may help put the rezoning application through. 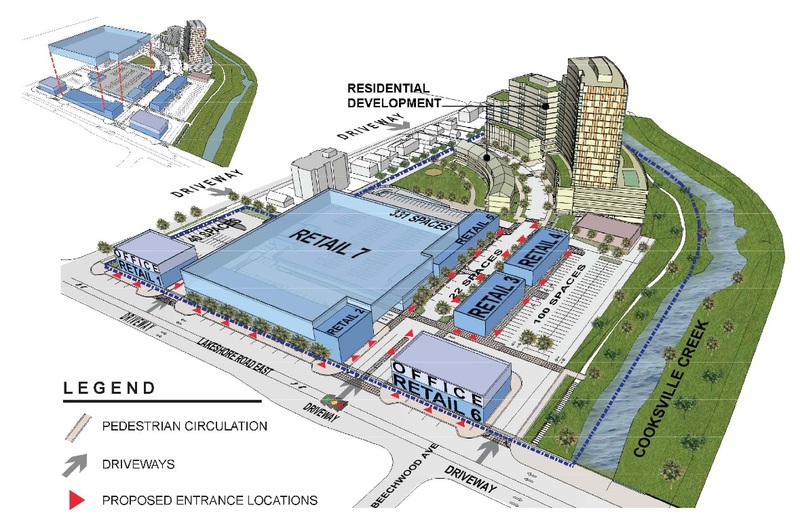 But with 140,000 sq ft of retail proposed to be added at the site in "one burst" (and with FREE PARKING), thereby doubling the retail offering on the local Lakeshore Corridor including the PCBIA, there is much more to consider than the name on the big box building. TOPCA's participation at the OMB has nothing to do with whether it is a Walmart, another 'big box' store or 90,000 sq ft of smaller format retail on top of the other 50,000 already planned. 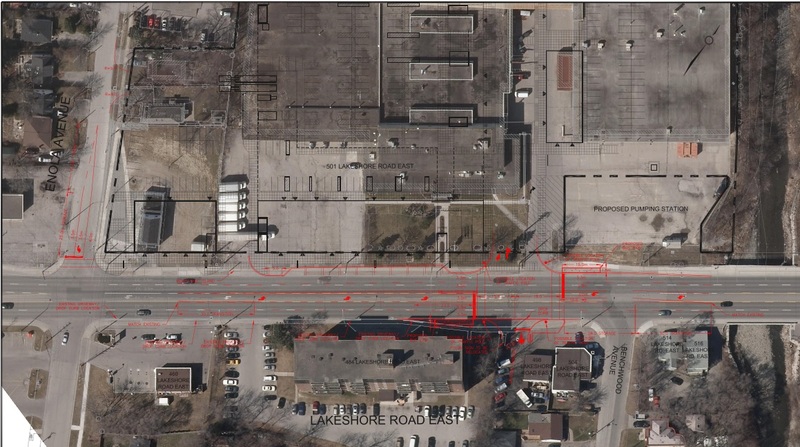 We refer you to: Square Footage Burst: Impact of Proposed Retail Component '501 Lakeshore Road East'. Commentary by retail analyst Jim Danahy. 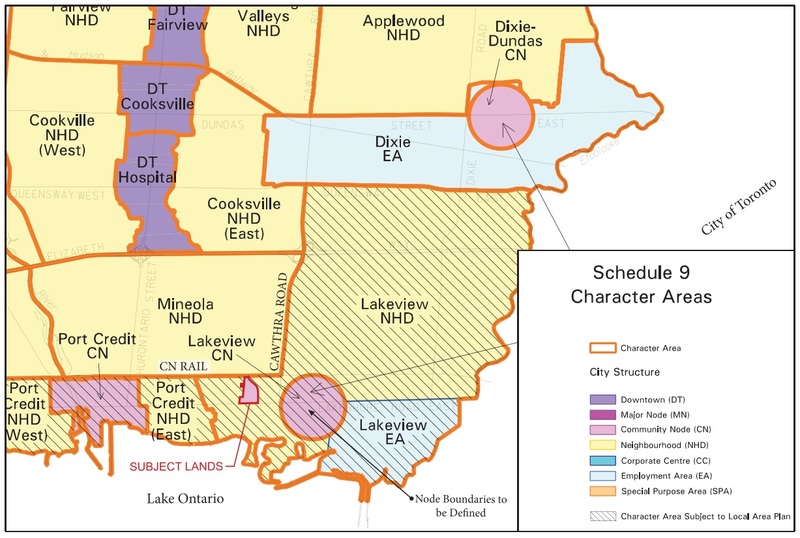 A QUESTION OF CHARACTER: This slide, on p41 of Trinity's Planning Justification Report: November 2011 illustrates the character areas impacted by the proposed development on the border between Port Credit and Lakeview. The proposed development includes large-format retail, doubles total retail in the PCBIA area, and derails the planned village centre in Lakeview. What about our 'character areas'? ► Click image for full-size MAP. DRAFT PROCEDURAL ORDER: On March 7, 2013, the Parties and Participants to the OMB Hearing were sent the Draft Procedural Order by the legal representative for the appellant (Trinity), as arranged at the OMB Pre-Hearing on February 11 (per below). NOTE: The Issues List (p9) as included in the Draft is not finalized pending the City's provision of their list and additional response. ► Click image to view the Draft Procedural Order (25p PDF). 2nd OMB PRE-HEARING: Convened February 11, 2013. NEW Hearing Date – OMB Hearing will begin on October 21, 2013, scheduled for 10 days. 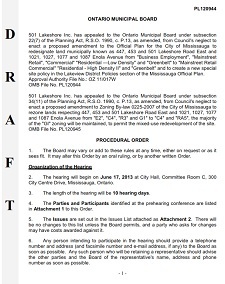 ► DECISION AND ORDER OF THE BOARD: Dated March 1, 2013. Now posted on the OMB website. Click image to view the document (8p PDF). This document is a summary of the OMB Pre-Hearing on February 11, 2013. It lists the 6 Parties and 50+ Participants for the Hearing, and provides information about the status of the "Issues List" which will determine the nature of evidence to be presented before the Board. NOTE: TOPCA is a registered Participant for this case. TOPCA made comment regarding the Issues List at the 2nd pre-hearing to request that matters we believe pertain to Port Credit, e.g. ‘Market Impact’, remain on the Issues List and thus subject to evidence (including our's) during the full Hearing (date TBA). Per the Chair's decision, no issues have been removed from the Issues List pending receipt of the City's list and a subsequent review. TOPCA will provide further comment at that time and file a Participant Statement. The TOPCA position is that a thorough evidence-based approach to these matters is in the interests of all Parties and will provide the Board with all the relevant facts and information to render a considered decision re the development application. Because the applicant is seeking an OMB decision in order to by-pass the municipal planning process, it is especially important to provide the Board with all the community concerns for examination. There has been discussion about a potential big box store at the edge of PC in Lakeview drawing additional traffic (and customers) to the PC mainstreet business area, but we are struggling to understand how more car traffic driving (rapidly) through town to get to a one-stop-shop, 90K sq ft discount style retailer with free parking brings business to the smaller storefront retailers? Really? Approx. 140,000 sq ft is proposed to be added at '501 Lakeshore Rd E' - ALL AT ONCE - including 50,000 sq ft of smaller stores and coffee shops -- we've heard this may all be approx. 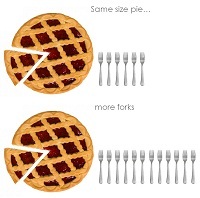 equal to core PC retail sq footage, in effect doubling the "number of forks" (retail offerings) chasing after the "same size pie" (that's us). TRINITY PROPOSAL HEADED TO OMB: As of August 2012 the City Planning Dept. had not formally responded to this application at 501 Lakeshore Road East and the proponent is now going to the Ontario Municipal Board (OMB) for a decision. ► Click for the TOPCA OMB webpage concerning OMB reform. TOPCA was granted Participant status at the Pre-Hearing on November 20, 2012 (Decision). Immediately after the pre-hearing, Trinity erected this "Coming Soon" sign (click for enlargement). The full hearing will commence on Date TBA (June 17th Hearing date is deferred) in the HEARING ROOM at Mississauga City Hall, 2nd Floor, and is expected to last 10 days. CITY POSITION: Planning Dept. staff have stated that no City position has been taken on the '501' proposal, although it is recognized that the process to elicit stakeholder input and seek consensus on principles and objectives for the site may be perceived in this way. 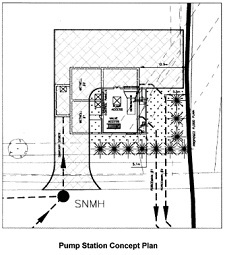 Click to view the City's Summary and Fact Sheet: May 17, 2011 concerning the entire development proposal. UPDATE - February 1, 2013: "City Planning staff have not yet established a position on this matter. Staff will be required to present a report to PDC/ Council, sometime in the near future, outlining a planning position and rationale for Council to give direction on how the City will present its case at the OMB." -- J.H. PROPOSAL: Trinity Development Group has made proposals to allow the former Inglis lands at 501 Lakeshore Road East (in the Lakeview District, bordering Port Credit, in Ward 1) to be redeveloped with a mix of mainstreet and big box retail, commercial / office and residential uses. 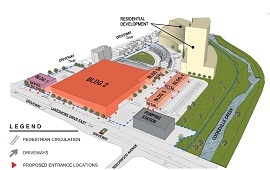 The 14.5 acre site extends from Lakeshore Rd East, north to the CNR line, between Enola Ave. and the Cooksville Creek. 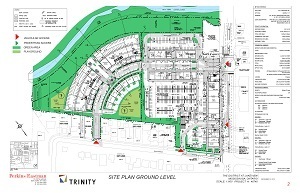 ► Trinity's development website: The District at Lakeview. ► Click for Trinity's Lakeview Concept Presentation dated November 17, 2011 (28p PDF). BIG BOX STORE - INFO NIGHT: The Mississauga South NDP Riding Association hosted an Information Night on Friday, February 1, 2013 at PORT CREDIT SECONDARY SCHOOL. There was a screening of the movie Walmart: The High Cost of Low Price as part of the discussion about the potential impact of big box retail (proposed at 501 Lakeshore Rd E in Lakeview) on Port Credit's mainstreet retail businesses. ► Mississauga News article (Jan. 24, 2013): Riding association hosts meeting on Lakeview development. 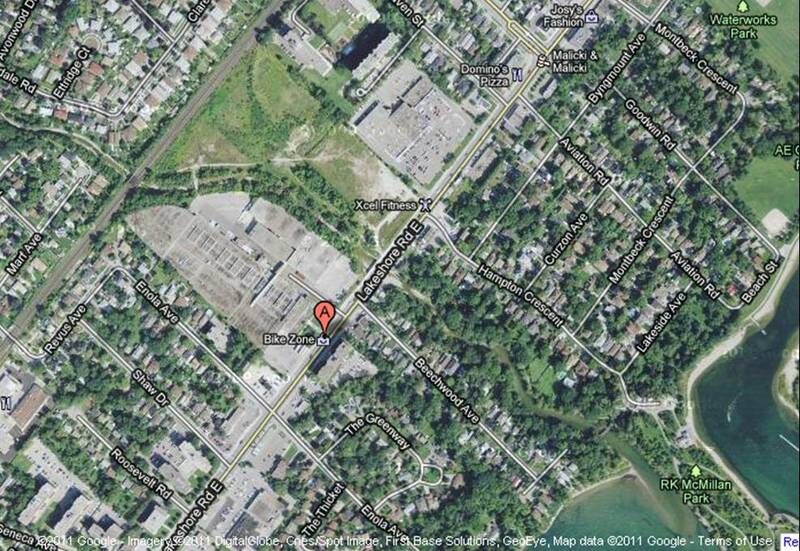 EXPROPRIATION RE: BEECHWOOD SEWAGE PUMPING STATION: June 14, 2012. It has been a long time coming, but the Region of Peel has finally begun proceedings (By-law 68-2012) to expropriate approximately one (1) acre of land at the location of 501 Lakeshore Road East (former Inglis lands) in order to have a new sewage pumping station operational within 90 days. The EA (Environmental Assessment) was completed in 2006 (11p PDF including illustrations of the preferred solution). ► NOTE: The expropriation By-law was initiated in 2009. ► Click images to view the January 2008 Placemaking Booklet (left, 17p PDF) for the Inglis site, which includes the Pump Station Concept Plan on p17 (shown upper left). COMMUNITY MEETING: Held April 4, 2012 @ 7-9 p.m. at the MISSISSAUGA SENIORS CENTRE. Hosted by Ward 1 Councillor Jim Tovey to discuss the proposal. 501 LAKESHORE ROAD E. OPEN HOUSE: Took place on February 1, 2012 @ 6 - 9 p.m. ON-SITE in Unit A-10, hosted by Trinity Development. A brief 15-minute presentation by the developer was included. ► Click image for full-size NOTICE with map. ► Click for covering LETTER and attached PROPOSAL package (7p PDF) received by TOPCA on January 25, 2012. 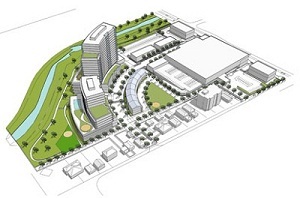 TOPCA STATEMENT: The TOPCA Executive released a Statement (December 9, 2011) concerning the large-format retail component of the proposal for 501 Lakeshore Rd E (depicted above as 'RETAIL 7'). For several years, citizens of Port Credit and Lakeview have participated in community visioning to ensure that future growth along the Lakeshore Corridor both evolves and strengthens village character. TOPCA has taken the time to receive community input regarding ‘501’ over a period of many months, and recently invited advice from a professional panel at our public meeting ‘Whither Mainstreet Retail?’ held on November 30, 2011. We have also reviewed the developer’s published concept plans and the existing context of the site. After this careful consideration, it is TOPCA's position that the proposed large-format retail component is incongruent with the long-term vision of either community. See the TOPCA Meetings webpage for information about the TOPCA Town Hall entitled Whither Mainstreet Retail? 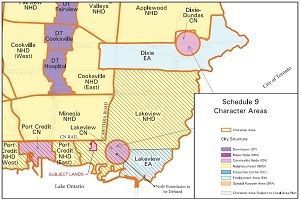 (November 30, 2011) which explored retail and related issues of concern to the historic communities along the Lakeshore Corridor. ► Mississauga News article (Nov. 30, 2011): Residents urged to fight big box stores. 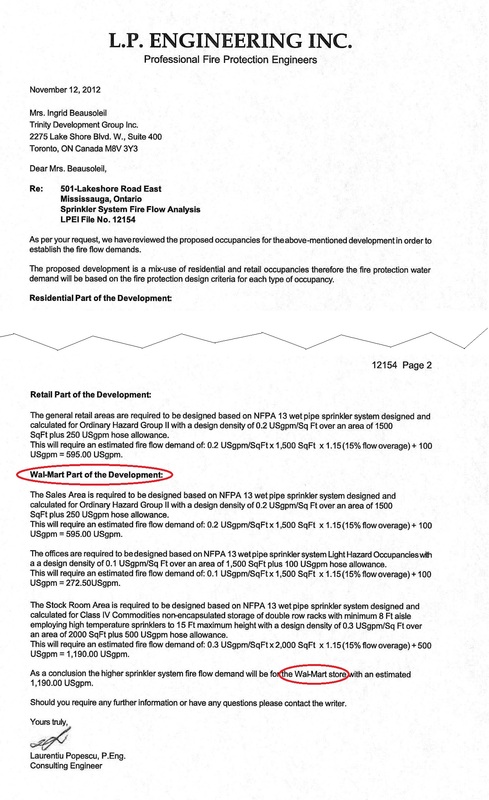 LAKEVIEW RATEPAYERS ASSOCIATION: The LRA released a Statement (December 14, 2011), as posted on Facebook, concerning the scope and location of the entire development concept. The community of Lakeview over a number of years, has initiated, developed and brought forth to Mississauga City Council a locally created vision of how we would like to see our community develop. This vision is popularly known as the Lakeview Legacy Project. This vision was unanimously adopted by Mississauga City Council as the guiding principal for much of the Lakeshore and Waterfront public visioning sessions that were to follow and were, we believe the signpost that led the way to the Lakeshore Corridor policies that are imminently expected from the city. This is a largely unprecedented level of input from a local community. Thus we have a large stake in the smart development of our community after years of hard work and volunteer effort. We envision a Main Street retail corridor connecting Port Credit in the west with Long Branch in the east. 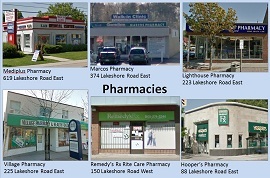 Lakeview is the only major historical community in Mississauga without a defined social and commercial centre. The Legacy Project describes a community hub that is located centrally in Lakeview. This has many advantages. It minimizes economic conflict with our sister community of Port Credit and provides for an intensity of development that can run east, west and south. The proposed development at 501 Lakeshore Rd is being described by its developers as Lakeview’s new community centre. We reject this notion because it’s location on our extreme western end does not allow for smart development and does not minimize conflict with existing local main street retail. We encourage development and density on the site, but believe that the development should abide by the careful and community driven planning and visioning that has taken place over years of careful and unprecedented city, resident, and all other levels of government cooperation. We are the Welcoming Edge of Mississauga. It is imperative that we all insist on an adherence to smart growth and innovative planning policy. ► Letter to the Mayor: June 23, 2011 from the Lakeview Ratepayers Association. ► Statement by Ward 1 Councillor Jim Tovey. PORT CREDIT BIA POSITION: The Port Credit BIA has announced their opposition to any big box retail on the Lakeshore Corridor mainstreet. In a breakfast networking presentation to BIA members on November 17, 2011, General Manager Ellen Timms stated the BIA supported appropriate development and residential intensification but were not in favour of large format retail, defined as over 50,000 sq ft. This was a timely discussion for small business owners who are the backbone of the local Port Credit economy. The Port Credit BIA is quoted in the Mississauga Village Times (Dec. 2011/Jan.2012 edition). General Manager Ellen Timms states (p45): "We strongly support mixed use development but not large format retail" which would "displace existing jobs or damage the existing commercial structure." WHAT DO YOU THINK? E-mail your comments to Ward 1 Councillor Jim Tovey and Mayor Hazel McCallion. Please also consider copying TOPCA@topca.net so that the TOPCA Executive can best represent your views in our formal response to the City. TOPCA is pleased to be receiving your thoughts! COMMUNITY COMMENTS: Click to read what your neighbours think. Enola Avenue and the Cooksville Creek. Click image to enlarge. BACKGROUND: In this era of big-box and chain stores, residents may well reflect on the sustainability of the local mainstreet shopping district, given news that a proposed Walmart may be constructed as part of a phased, mixed-use development at the NE corner of Lakeshore Road East and Enola Avenue, just west of the Cooksville Creek. This is the site of the former Inglis/Admiral manufacturing plant. A bike shop is now located in part of the front building. Just inside the border of the Lakeview District, this development is expected to have a significant impact on mainstreet retail businesses and traffic flow along the entire Lakeshore Road corridor including Port Credit. ► Click for Letter to the Mayor: June 23, 2011 from the Lakeview Ratepayers Association. ► Click for public presentation by Trinity dated November 17, 2011, as shown at the November 2nd public meeting at PCSS (28p PDF), including image below. "On Tuesday, December 21st a constructive meeting was held at the Ward office with representatives from Trinity Development and Walmart. To date, no application has been filed with the City of Mississauga for a Walmart at Lakeshore and Enola Rd. My position continues to be that there should be no big box stores within the Lakeshore corridor and this was reinforced throughout a positive dialogue. It was also recognized that this is a significant site with great possibilities to enhance our waterfront community. I look forward to working with Trinity on an appropriate development that will complement the community’s vision for Lakeshore Road." "Our Ward 1 office has been receiving a high number of enquiries on the proposed Walmart development on Lakeshore Rd. at Enola Ave. As the Ward Counsellor I strongly oppose large format retail stores anywhere within the Lakeshore corridor. 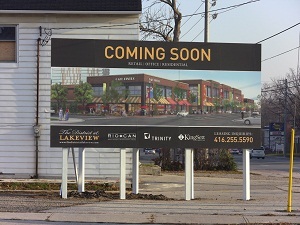 My belief is that Port Credit should retain its distinct village character and Lakeview should be allowed to develop its own unique village character according to the vision of the community as outlined in Inspiration Lakeview. I would like to thank all the people who have sent in emails and phone calls of support for this position. Please stay in touch and stay involved. Below is a summary and fact sheet [click to view] prepared by staff outlining the history of this file, the application process that is required, and general timelines for the submission to be reviewed by the Planning and Building Department." PROPOSAL: A meeting of the City's DARC (Development Application Review Committee) took place on May 2, 2011. DARC advises what studies and other supporting materials must accompany an application when it is officially submitted, e.g. a traffic study. The DARC meeting was augmented by a facilitated workshop for a wide variety of stakeholder groups, including Credit Valley Conservation (regarding the Cooksville Creek), the Region of Peel (regarding its pumping station) and all appropriate departments within the City including Planning, Transportation, etc. The owner of the property, the developer, and Walmart were all present at the meetings, along with Trinity's planning consultant, Korsiak & Co. Also present were reps from two local residents' associations. Walmart presented its preliminary proposal, which is being revised in view of the input received on May 2 at DARC, and subsequently on June 14 at the Urban Design Advisory Panel; new renderings have now been released. 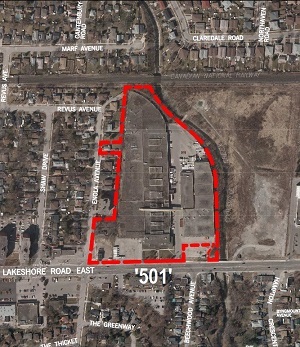 Click to view the City's Summary and Fact Sheet: May 17, 2011 concerning the entire development proposal, which originally comprised 2-storey retail commercial use along the Lakeshore Road frontage, including the proposed Walmart. In a later phase, five (5) high-rise residential buildings with heights ranging from 9 to 25 storeys (1,118 residential units) were proposed to the rear of the total 14.5 acre site. THESE PLANS HAVE BEEN REVISED AND A NEW FACT SHEET IS EXPECTED. Click for latest public presentation. FORMAT: The planning consultant states that Walmart is pioneering an 'Urban Walmart' format at this site which harks back to the form and function of the mainstreet department store which used to be so common in towns; the size is 90,000 sq ft (2 acres). The consultant states that the architecture is projected to be high-end and that the store is uniquely scaled for the neighbourhood level and will be a very different built form from what has been the norm. - Heartland: 200,000 sq ft.
- South Common Mall: 130,000 sq ft.
- Winston Churchill/Argentia: 130,000 sq ft.
- Square One: over 200,000 sq ft.
- Lakeshore (proposal): 90,000 sq ft. NOTE: the Fieldgate site proposal for a Walmart store in the the Dundas and Dixie area is approx. 156,000 sq ft. -- construction expected to begin Fall 2011. ► Mississauga News editorial (Nov. 3, 2011): Area needs the jobs. Has generated considerable controversy! ► Mississauga News article (Nov. 2, 2011): Target enters Lakeview talks. Excerpt: "Lakeview has become a battleground for two American retail giants after area residents learned this evening that Target and Walmart are both vying for a prime piece of land on Lakeshore Rd. to open one of their stores. ... 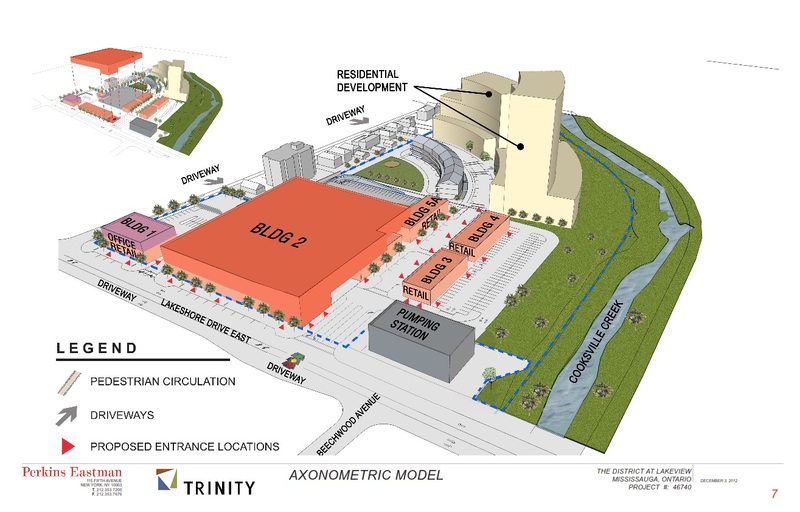 The plan, presented tonight by Trinity Developments, who owns the 14.5 acres of land in question, is to open either a Walmart or a Target as part of a phased, mixed-use development at the northeast corner of Lakeshore Rd. E. and Enola Ave., just west of the Cooksville Creek." ► Toronto Star article (June 24, 2011): Wal-Mart to open ‘urban’ store, buys Zellers sites. Excerpt: "Wal-Mart Canada will launch a new store format, called 'Urban 90,' in east Toronto in January, the company has confirmed. Wal-Mart Canada’s president and chief executive officer David Cheesewright revealed the plan in response to a question at the Jefferies Global Consumer Conference earlier this week. His remarks were not widely reported. 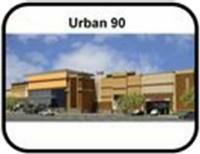 The initial urban store would be in a former used car lot in eastern Scarborough. It would be on a 4.5-acre site roughly half the size of a typical Wal-Mart site, he told the conference." Below is an image from the above-referenced presentation. 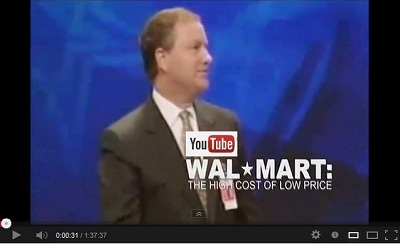 ► Washington Post article (June 3, 2011; reprinted June 4 in the Toronto Star): Wal-Mart unveils smallest store format. NOTE: at 15,000 to 30,000 sq ft, the 'Walmart Express' format described in this article is NOT the same as the 'Urban Walmart' format proposed for the Lakeview site. WIKIPEDIA: Walmart Canada. Excerpt: Wal-Mart Discount Stores in Canada: Wal-Mart Discount Stores are discount department stores with size varying from 51,000 to 150,000 square feet (4,738.1 to 13,935.5 m2), with an average store covering about 102,000 square feet (9,476.1 m2). They carry general merchandise and a selection of food. Many of these stores also have a garden centre, a pharmacy, Tire & Lube Express, optical centre, one-hour photo processing lab, portrait studio, a bank branch, a cell phone store and a fast food outlet (usually McDonald's). Walmart was established in Canada in 1994 with the acquisition of the 122-store Woolco division of Woolworth Canada. As of January 2011, there were 201 Wal-Mart Discount Stores in Canada. In 2006, the busiest in the country was one in Square One Shopping Centre [220,000 sq ft] ... As of January 2011, there were 124 Wal-Mart Supercentres in Canada. June 14, 2011: Plans go to the to City's Urban Design Advisory Panel for review. No images will be publicly released until the Panel's comments are reflected in any revisions (possibly Labour Day). November 2011: Beginning of submission of formal Development Application to the City's Planning and Building Dept. 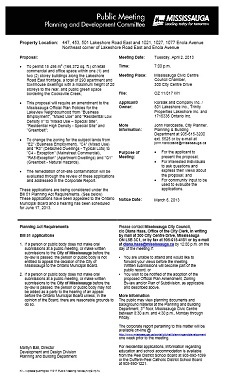 Click to view the City's Summary and Fact Sheet: May 17, 2011 concerning the application process. Trinity Development resubmitted their revised application (already before the OMB). Includes increased residential density and revised vehicular ingress/egress. 36p PDF. RETAIL SURVEY: TOPCA is surveying the mainstreet retail offerings in Port Credit and Lakeview which might be duplicated by the departments in a 'big box' discount store. Click images for enlargements. 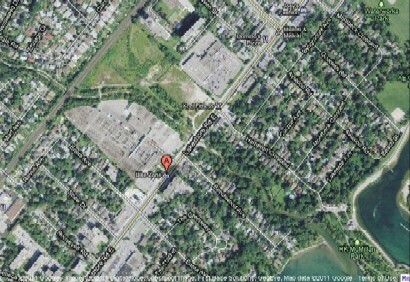 ► The Planner of Record for the City is John Hardcastle (905) 615-3200 x5525. 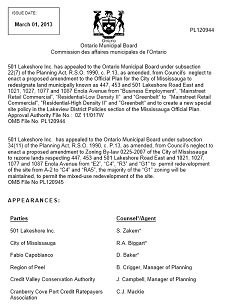 ► Notice of Complete Application (click to view) was issued on Dec. 22, 2011, for the Official Plan amendment and rezoning applications located at the northeast corner of Lakeshore Road East and Enola Avenue, known as file OZ 11/017 W1. The Notice has further particulars for submitting your comments. 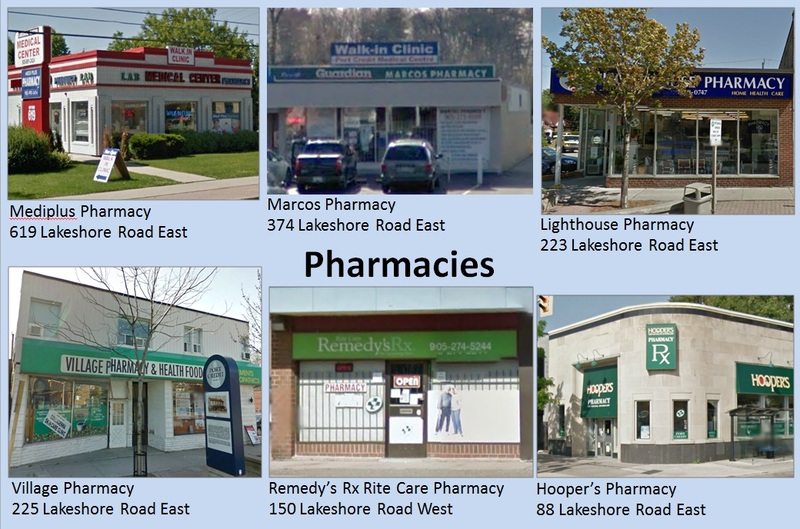 ► See the Facebook Page maintained by local citizens: No Big Box store in Lakeview/Port Credit. 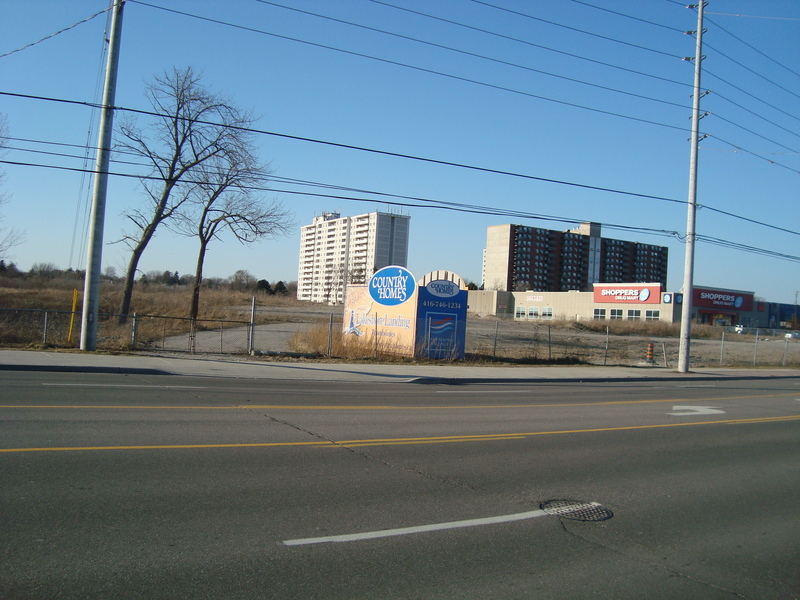 ► Mississauga News article (April 2, 2013): Development will hurt business: TOPCA. Excerpt: "A proposed mixed-use development planned for Lakeview will have a devastating effect on small mom-and-pop shops in the area, a residents association suggested tonight." ► Mississauga News article (Feb. 2, 2013): Big box could be big bust for community. ► Mississauga News article (Feb. 1, 2012): Dozens protest Lakeview project. Excerpt: "They marched more than two kilometres, all the way to the open house at the site of the controversial development planned for Lakeview. There, they were greeted by more than 300 people, many holding signs. Others joined the marchers in chanting." ► Mississauga News article (Jan. 30, 2012): March planned to protest big-box store. ► Mississauga News editorial (Nov. 3, 2011): Area needs the jobs.